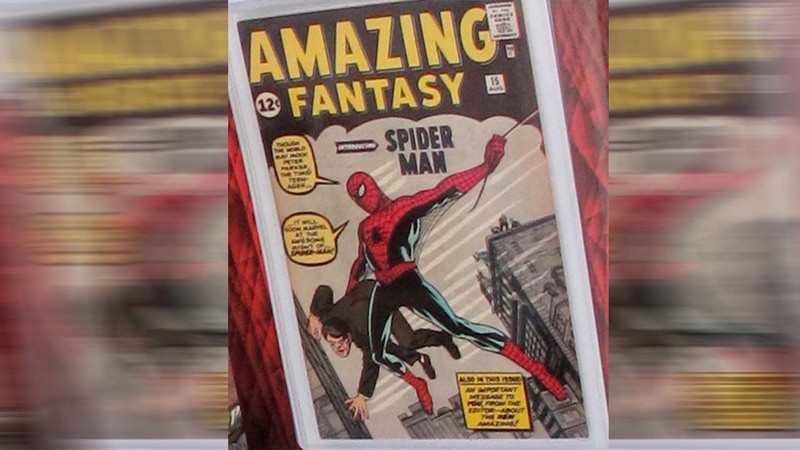 TAMPA, FL -- A Florida comics dealer says books worth tens of thousands were stolen at a Tampa convention, including two rare editions that marked the first appearance of Spider-Man. Tampa police say Rick Whitelock of Panama City said he brought several boxes of books to the Tampa Bay Comic Con on Thursday and left them in the locked convention center overnight. When he began preparing his booth Friday, one box was missing. Whitelock told the Tampa Bay Times the box contained such rarities as two copies of Amazing Fantasy No. 15 from 1962, which features the first appearance of Spider-Man. Another book had the first appearance of the Justice League team of Batman, Superman, Wonder Woman, Aquaman and The Flash. Whitelock says the books are unique and would be difficult to sell unnoticed.